Sunday night at the Grammys, Cardi B was a big winner as she delivered on an explosive performance of her “Money” single and walked away with the award for Best Rap Album for her Invasion of Privacy outing. All the while, Offset was busy making a mark of his own when he dropped off a trailer that previews his forthcoming solo album, announcing that fans can expect the highly-anticipated product on February 22nd. In the new trailer, Offset sets the tone with a documentary that takes fans in a behind-the-scenes look at the making of the project. After the arrival of Quavo and Takeoff’s own solo sets, anticipation has been heavily geared toward the last member of the triumvirate, with his marriage and drama surrounding his family overshadowing his solo rollout in past months. 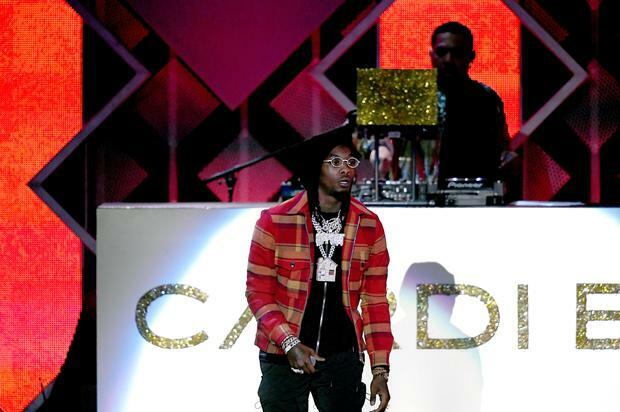 The Grammy awards marked the official public reunion of Cardi B and Offset since their split last year, seemingly ushering a shifting of gears from the controversy surrounding the couple to make an appropriate shift back onto the music.